BUSTED AGAIN! : INCREDIBLE FAKE MASS MEDIA FOOTAGE: BBC Shows “Green Square, Libya” FROM INDIA! Look at the faces, the hats, and the clothing! — They’re not even using the right props — Look carefully at the flags— & the picture that is held up by some one in the “Libyan” crowd! What were these Indians, waving Indian flags, really demonstrating about? Busted! FAKE Fox News Broadcast about Libya! ISLAMABAD, June 14: The government is facing an estimated annual revenue loss of over Rs 30 billion on account of ‘grey telephony’ under which international calls are re-routed through local — often illegal — exchanges to avoid local taxes, mainly because of policies designed apparently to favour a sitting powerful minister. One of the leading beneficiaries of the grey traffic is Rodcom Europe, now being renamed as Hollywell Solutions. 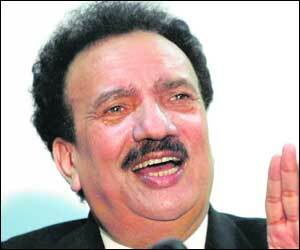 Rehman Malik, the sitting interior minister, is the chairman of London-based Rodcom Europe — a specialised VOIP (voice-over internet protocol) company established in 2001 “offering a limited number of high quality routes to a limited number of high quality customers”, according to the company website. What makes the conflict of interest issue more serious is the fact that the current government has not made a concerted effort to eliminate the grey traffic; instead circumstantial evidence suggests that official policies have encouraged such activity. HOW GREY TRAFFIC RUNS: Grey traffic is defined as the use of illegal exchanges for making international calls, bypassing the legal routes and exchanges. These illegal exchanges include VOIP (Voice-Over Internet Protocol) that uses a computer; GSM (Global System for Mobile) gateways; WLL (wireless local loop) phones or mobile SIMs. This traffic may then be distributed onwards using WLL and mobile numbers. Why is PAC chief sitting on NLC scam report? ISLAMABAD: The Public Accounts Committee was told on Monday that the office of Chairman PAC Chaudhry Nisar Ali Khan was sitting on the inquiry report into the multibillion rupees scam in the National Logistic Cell (NLC) for the last several months. The report contains documentary evidence to confirm involvement of four generals of the Pakistan Army in the biggest scam in the history of the NLC. But, in the absence of Chaudhry Nisar Ali Khan from the PAC meeting for a short period of time, some members wondered why only one copy of this explosive report was given to Chaudhry Nisar. Three Lieutenant Generals and one Major General, who were named in the report, had served at top positions in the NLC in the past and have since retired from service. The inquiry was held to determine the role of these three generals, who despite orders of the then Prime Minister Shaukat Aziz not to put the NLC money into the volatile stock market, invested billions of rupees in the stock exchange and subsequently lost the taxpayers money. A large number of powerful brokers of Karachi were given huge money from the NLC funds to make investment in the volatile exchange market and subsequently billions were lost. Even these generals had taken a commercial loan to make investment in these stocks. 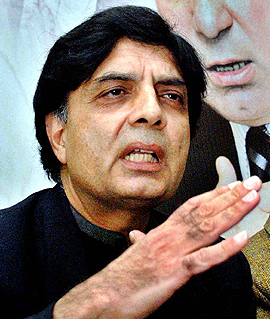 Earlier, during the course of the PAC proceedings it emerged that Secretary Planning Division Ashraf Hayat had deliberately given only one copy of the report to PAC Chairman Chaudhry Nisar Ali Khan for “His Eyes Only”. Ashraf Hayat, who appeared before the PAC, on Monday was asked why the report was not shared with other PAC members. He said the report had already been sent to the office of PAC Chairman Chaudhry Nisar Ali Khan. But this did not satisfy the members as usually 20 copies of any report are sent to the PAC members. But what surprised them most was that the report was never put on the PAC agenda. The PAC members asked the secretary to dispatch the inquiry report to all of them. ISLAMABAD: The financially crippled Wapda would soon be poorer by another Rs3.2 billion as it is set to lose a legal battle in the International Court of Justice (ICJ) and would have to pay the amount to the Japan Power Generation Limited (JPGL), the Public Accounts Committee was informed on Monday. The PAC was further informed that foreign loans worth billions of rupees, including half a billion rupees loan for access to justice, remained unspent thanks to the lethargy of government organisations. What to talk of others, even Wapda did not use Rs6 billion foreign loan given by a foreign lending agency and the amount was returned to the Economic Affairs Division. Managing Director, National Logistic Cell, Major General Junaid, who appeared before the PAC to defend the report of the Auditor General of Pakistan, spoke of a strong possibility of the Wapda losing its legal battle against the JPGL. He provided these details in a bid to satisfy the PAC members about pending recovery of Rs75 million payable by the same company to the NLC. He said the Japanese company had committed to repay NLC Rs75 million after winning the legal battle, which it is quite confident of winning. Earlier, the Auditor General of Pakistan told the PAC that NLC had given a loan of Rs75 million to the JPGL. The NLC entered into a loan agreement with the JPGL on July 2, 2007 for the purpose of meeting existing liabilities. The loan was repayable by December 31, 2008 at 14 per cent mark-up rate. The company had already paid Rs13 million as interest to the NLC up to September 2008 in two installments. But, the AGP said, the JPGL had shown a net loss of Rs206 million in its accounts and in view of the poor financial position, the company might not repay the NLC the loan. The loan was sanctioned by former DG NLC, although he did not have any power to give loan to any foreign company. Interestingly, the NLC gave this loan to the Japanese company despite the fact that it itself had to make payment of Rs4.7billion to different banks and financial institutions…. 2. Please DO note that the the government’s inability to utilize loans does NOT mean the loans don’t acquire interest. So the money is just sitting there racking up interest which we have to pay back. And if you thought our defense budget was high, consider this: The amount paid in interest payment on these loans is alone 150% of our defense budget!!! Of course the ICJ ruled in favor of the Italians and against the GoP which had to pay up (probably by taking another loan). 1. PSO has cut KESC’s fuel supplies because KESC has not being paying PSOs bill. 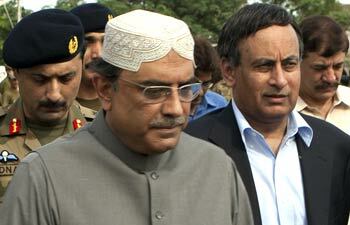 Remember KESC was already getting supplies at a MAJOR discount on Zardari’s orders (How big a discount? How about 100,000 tons of furnace oil at the price of Rs13,000 only!). But even getting the oil at next to nothing, KESC was still not paying for it and still claims to be running at a bigger loss than last year. It also continues to run it’s plants way below capacity because it makes more money by doing so — it has secured deals kind of like the Rental Power Plants (RPP). 2. The transfer of ownership to Zardari continues with issuance of another Rs.6.3 Billion in ‘right shares’ in mid-Feb and another Rs.3.6 Billion in ‘right shares’ this month. Just got “official” confirmation from former MD KESC (watch today’s — March 19th — 11th Hour on ARY) that KESC was sold to present owners for……………. [Of course this too is NOT all the truth. In fact they were paid billions to “buy” KESC (and more and more payments are ongoing as I mentioned in my first report)].